and then asked for or were given nutrition advice from your doctor? I’m sorry to say it, but there’s a good chance that you were given poor advice. Going to University allowed me to meet a lot of intelligent people. Some of the brightest were studying in order to go to medical school and become various types of physicians. I know what you’re thinking, “Isn’t good nutrition part of promoting, maintaining or restoring human health?”, and you’re right, it is. 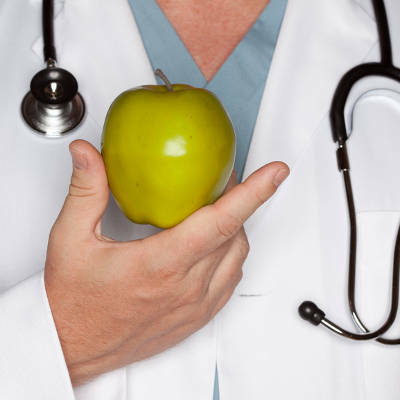 The problem, I contend, is that the majority of physicians do not have the knowledge or experience to give proper nutritional guidance. Medical school is arguably the toughest program to get accepted to, and once you’re in it’s no cakewalk. However, medical schools currently do not prepare students (future doctors) in nutrition to anywhere close to an acceptable level. This graph on the right shows the main results of a survey conducted in 2004 by the University of North Carolina at Chapel Hill. They sent the 12 question survey out to the 126 accredited medical schools in the United States and received 106 responses. 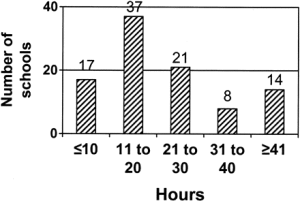 The key finding that I’m interested in is shown in the graph, which is the amount of contact hours a typical student receives in nutrition during their time at the school. The national average came out to be 23.9 hours. 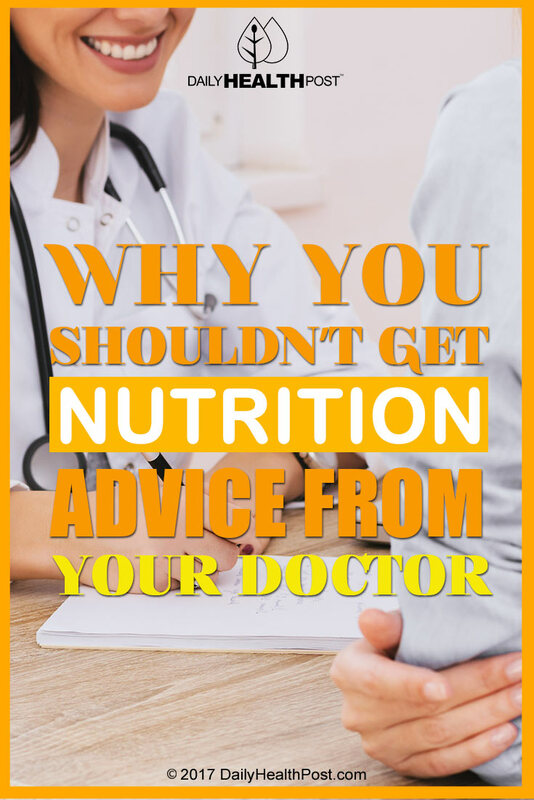 The average doctor has less than a day’s worth of time spent learning nutrition. I routinely spend more than that reading journals and nutrition-related books in a week. How are you possibly supposed to learn everything you need to know about proper nutrition in less than a day? The answer, you can’t. Not only that, but how much of those 24 hours of nutrition training will they remember? Not many in all likelihood unless they continually review them.